We’ve had a beautiful weekend, so we’ve been busy. 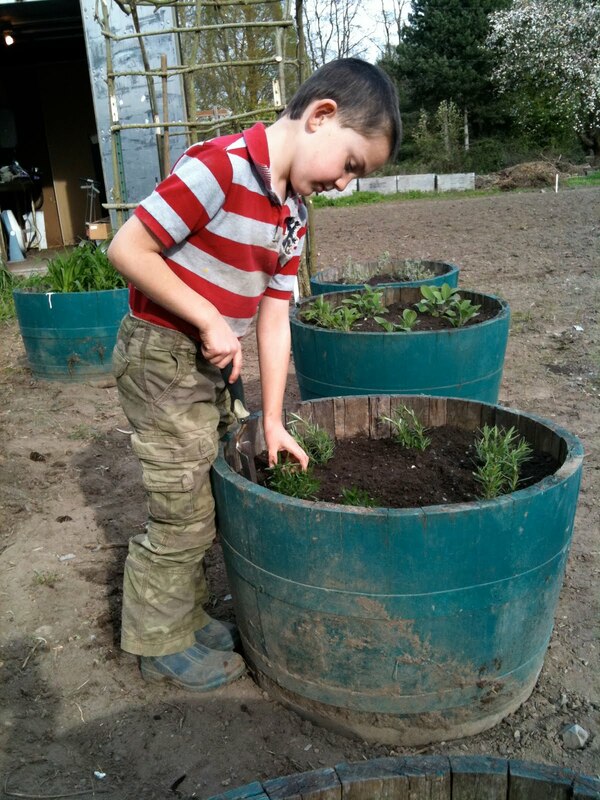 Mike has been very busy on the tractor, getting big spaces ready to plant peas, fava beans, carrots, beets, and greens. 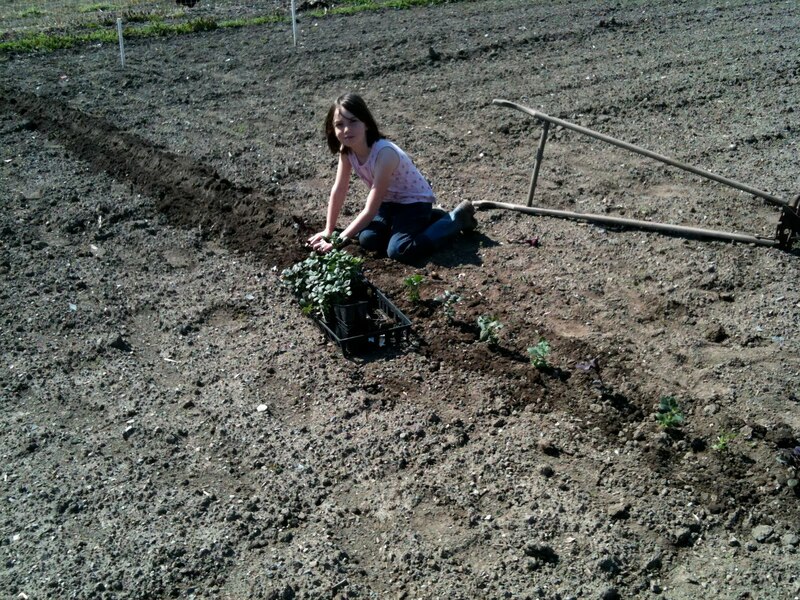 The kids helped me get the cut flower garden and u-pick herb garden started. The geese, George and Lucy (as in “Room With A View”) settled down about a month ago on 8 eggs. Four of them hatched and we were finally able to get them moved from the milking room to the cow pasture, where they are much happier. Geese don’t eat slugs like ducks, they are vegetarians and love grass. I hope everyone knows what to do with the Kale. My usual thing to do with either is cut into ribbons and sauté with garlic and olive oil. It’s good in scrambled eggs, or in soup too. Rapini is the holy grail of the spring season. This is an amazing, delicious byproduct of members of the brassica family that cannot be missed during it’s short season of abundance. Visit the Rapini page to learn more. Spring Onions are like big green onions. I use the whole thing, slice it up and cook them with anything. They’re sweet and not too pungent. Leeks can be used like an onion, they’re excellent with eggs as well, and they’re also delicious braised or sautéed as a green vegetable. They are not strong-flavored, but pleasantly oniony. Quite tasty. Salsify is a very uncommon vegetable in the United States. It is still popular in Europe. Also called “Oyster Plant” because the delicate flavor has a vague resemblance to oysters, it can be added to soup or potato dishes, or used on its own. Visit this page to find recipes. >I'm looking forward to the nettles! >I have a new favourite way to eat kale. Kale chips! Satisfies the salty crunchy potato chip craving. wash and dry the kale VERY WELL you want it to bake not steam in the oven. Preheat oven to 350. Toss with 2-3 tsp olive oil or spray with cooking spray. Sprinkle with salt and/or cayenne, or any other seasoning you like. Spread on a baking sheet. Bake for 12-15 minutes. Crunchy Kale chips, yum!